I'm a pretty big fan of salsas, and this is one of my favorites at TJ's. It's a little more towards the sweet side than the spicy side. 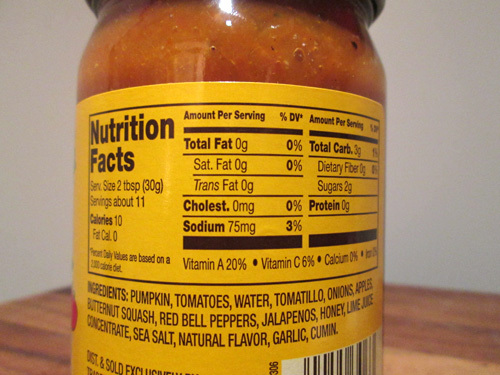 It's still definitely a salsa though, and there is some kick to it from the jalapenos and other standard salsa ingredients. But it also has a nice warm fall flavor to it thanks to the pumpkin, squash, and apples in it. 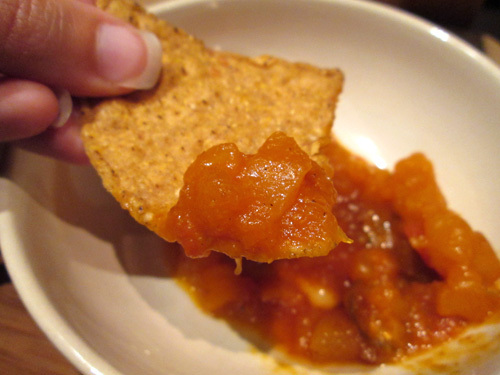 This is a great fall salsa with a warm-and-spicy flavor as opposed to a more acidic-spicy flavor that you usually get with tomato-based salsas. 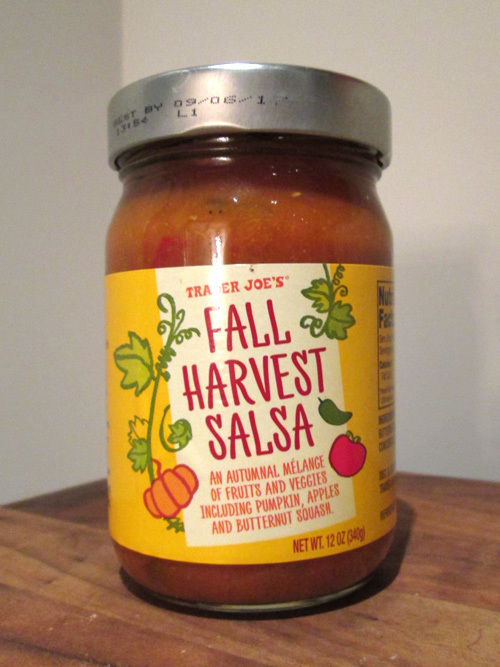 This is definitely one of my fall favorites, and I thought about picking it up again after finishing my first jar, but there have been quite a few new salsa's from TJ's in the past few months that I'm looking forward to trying out as well, so I'm thinking of checking out those instead.